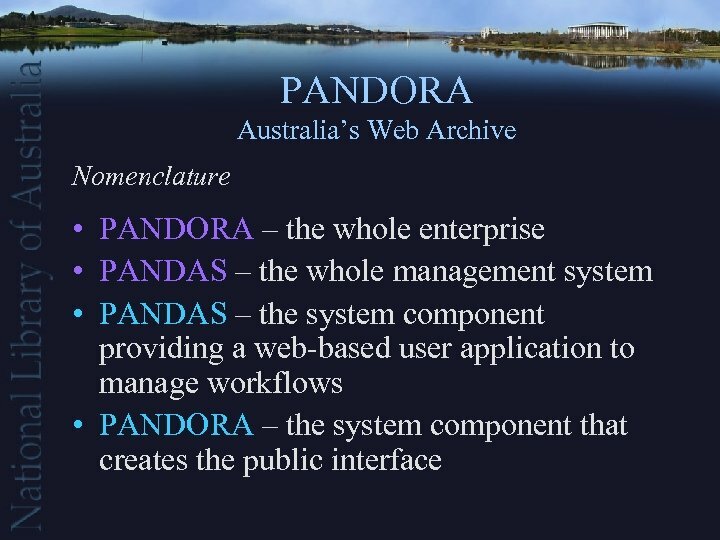 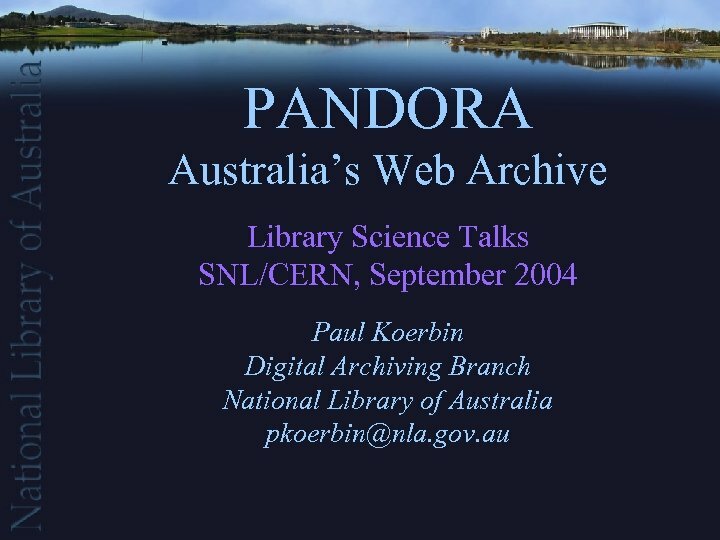 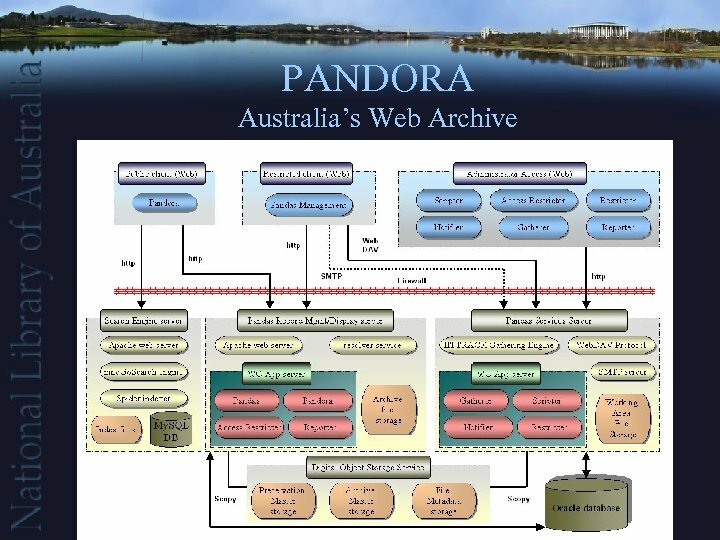 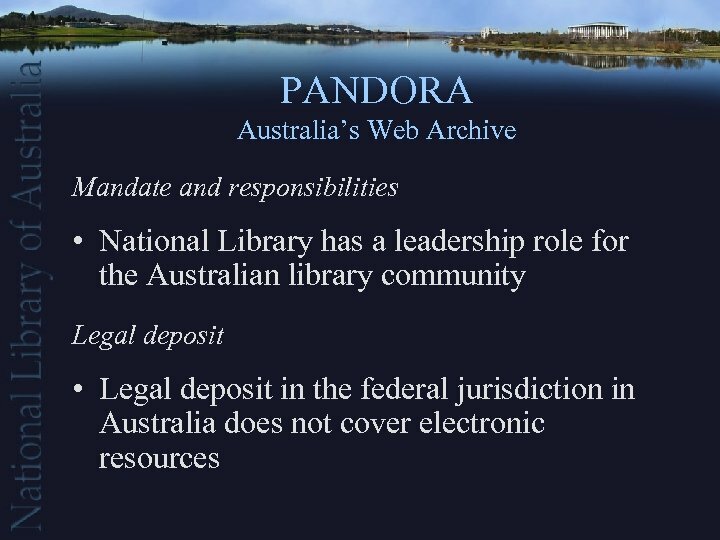 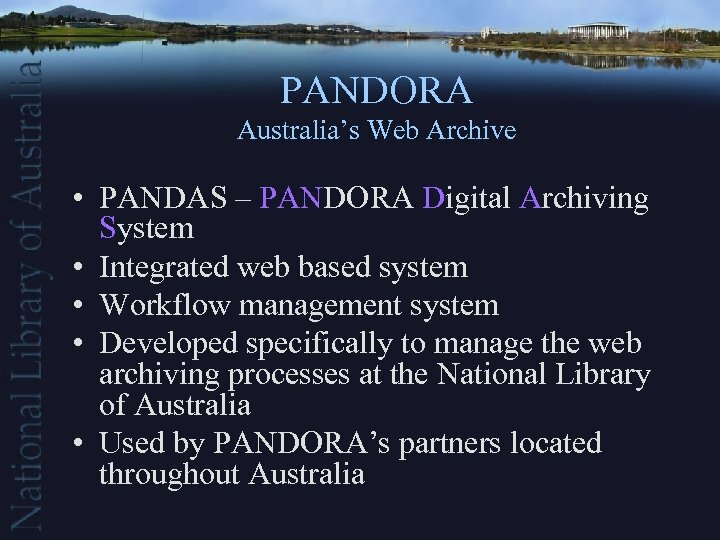 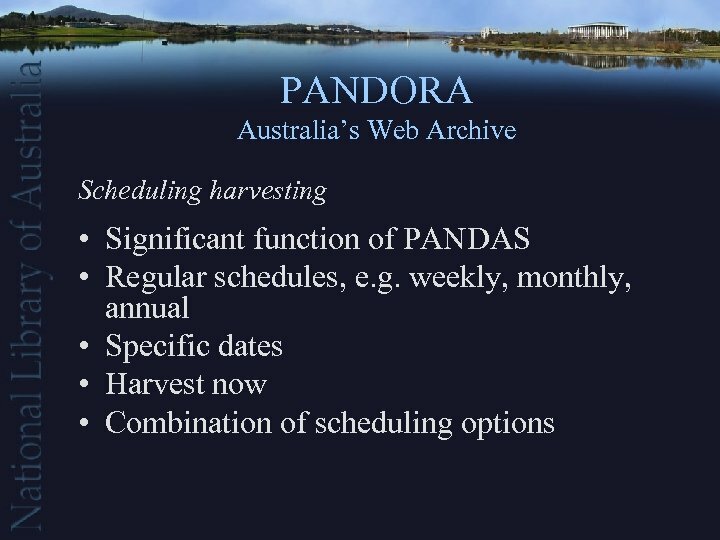 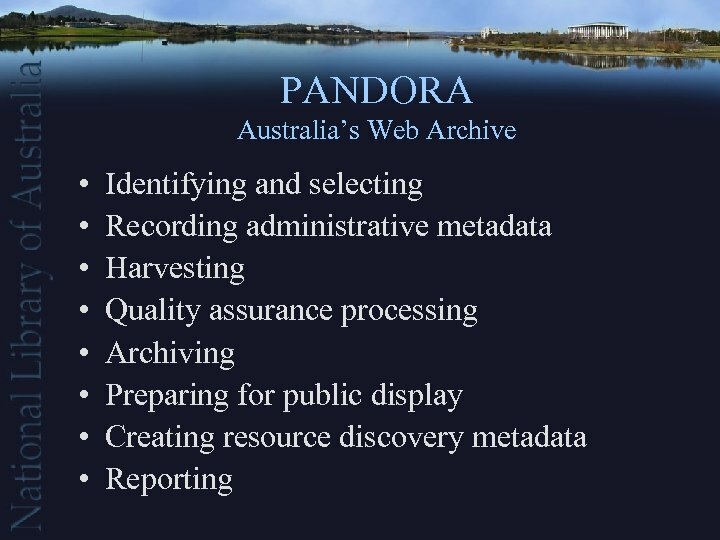 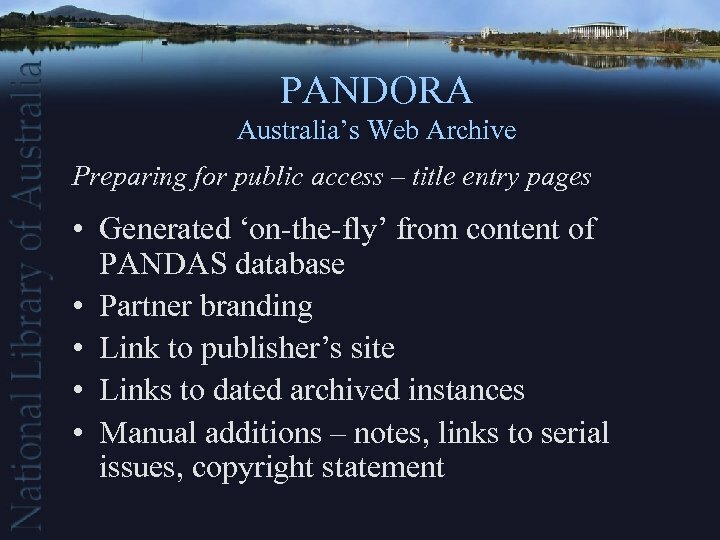 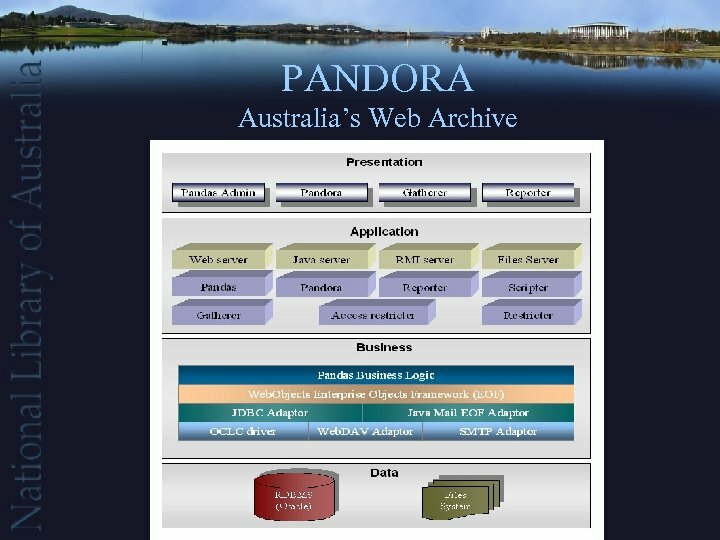 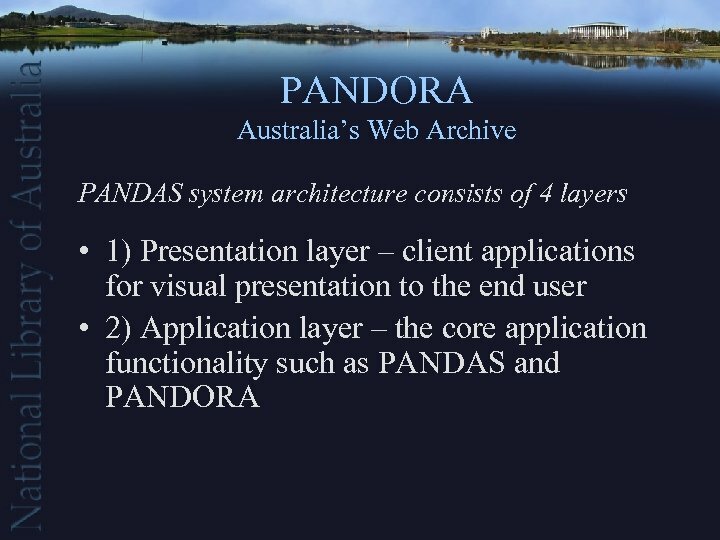 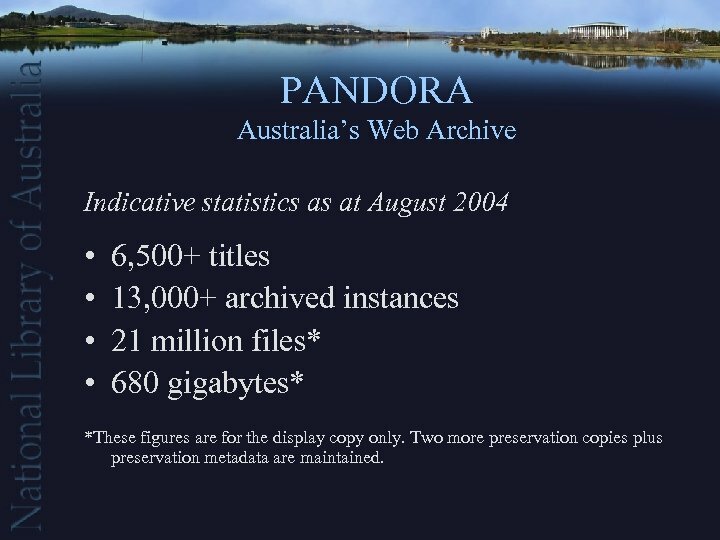 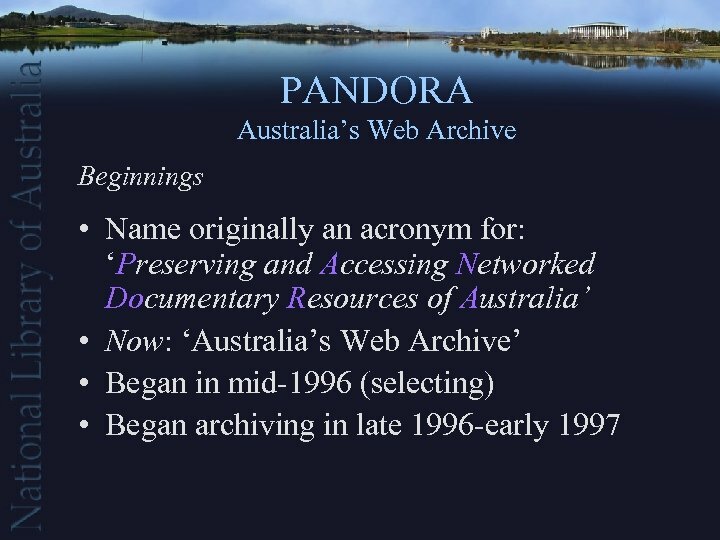 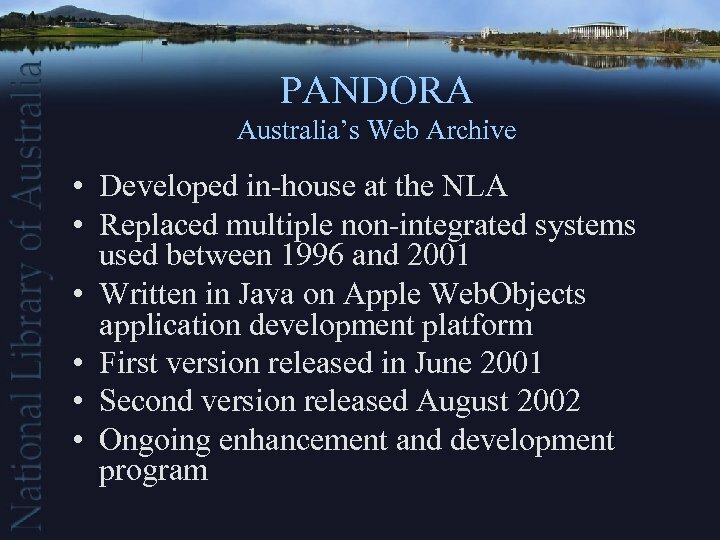 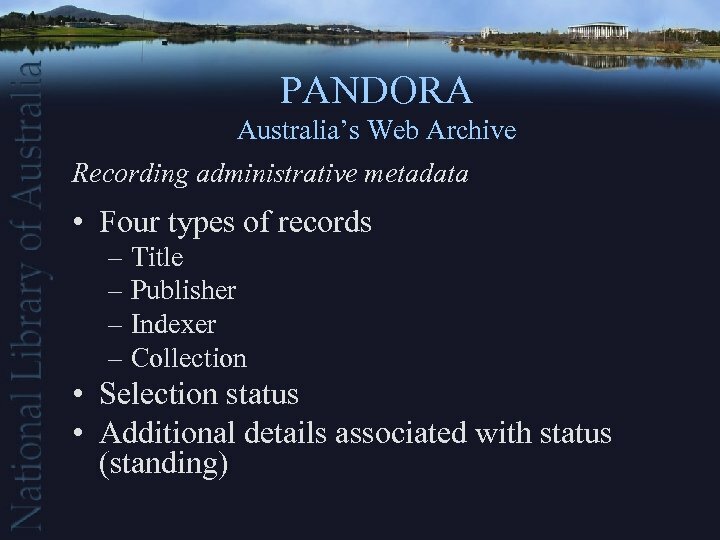 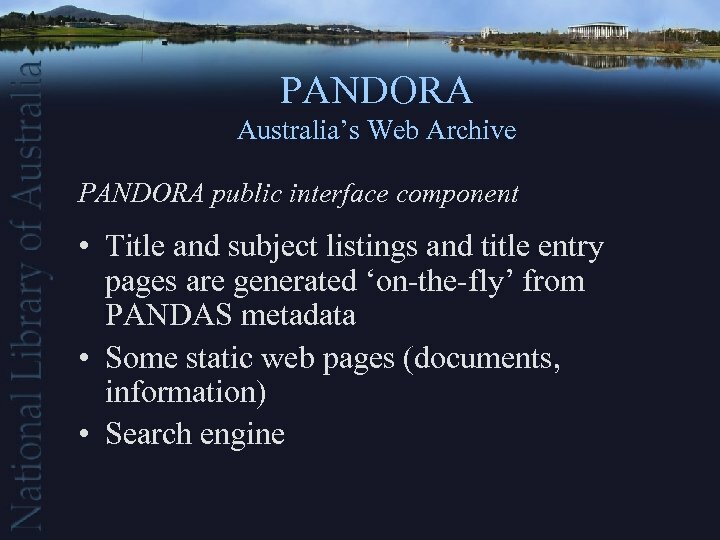 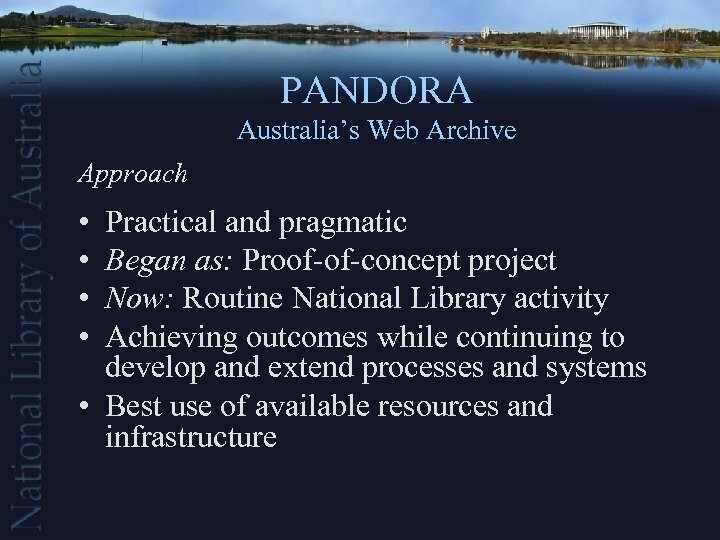 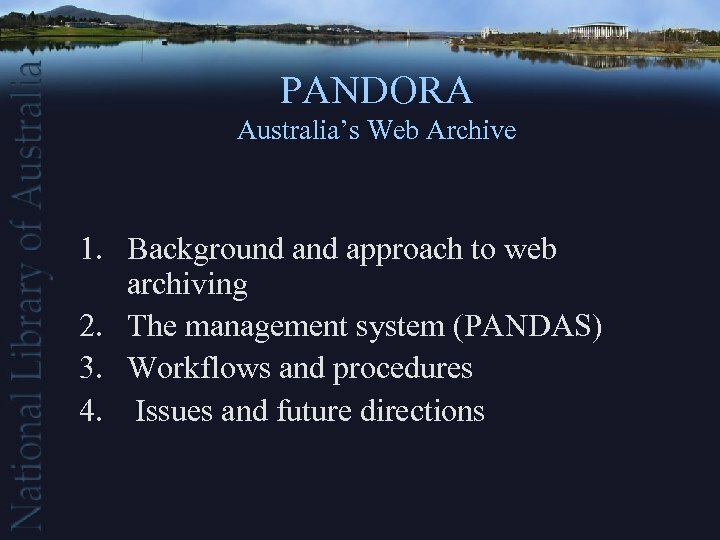 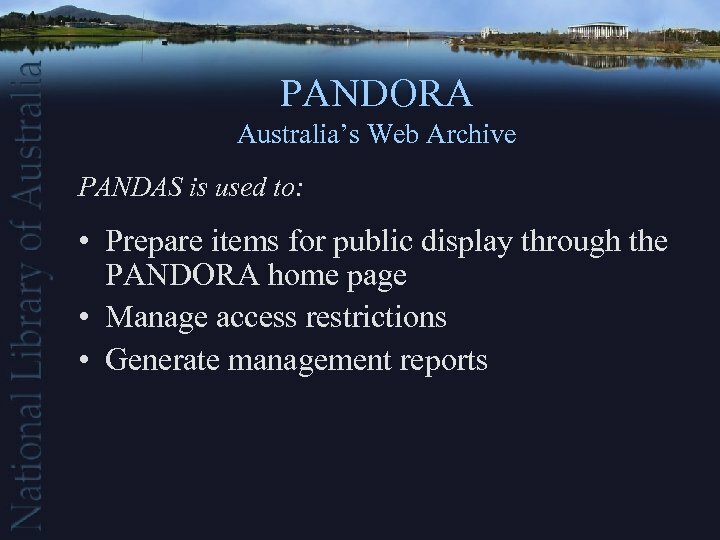 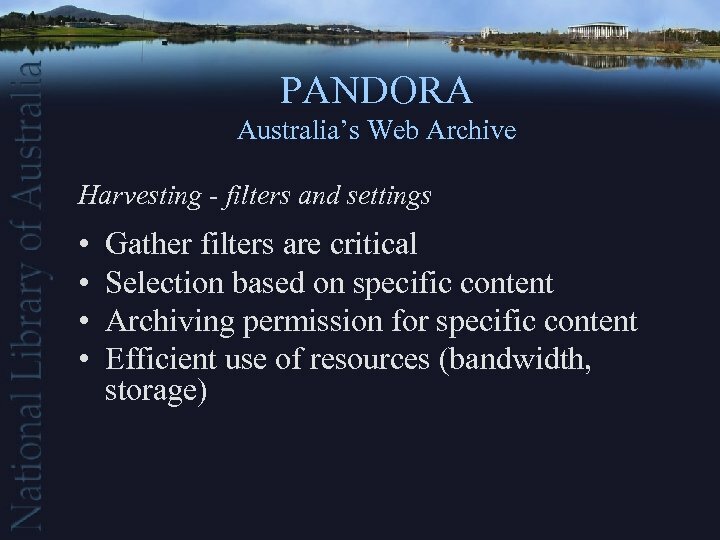 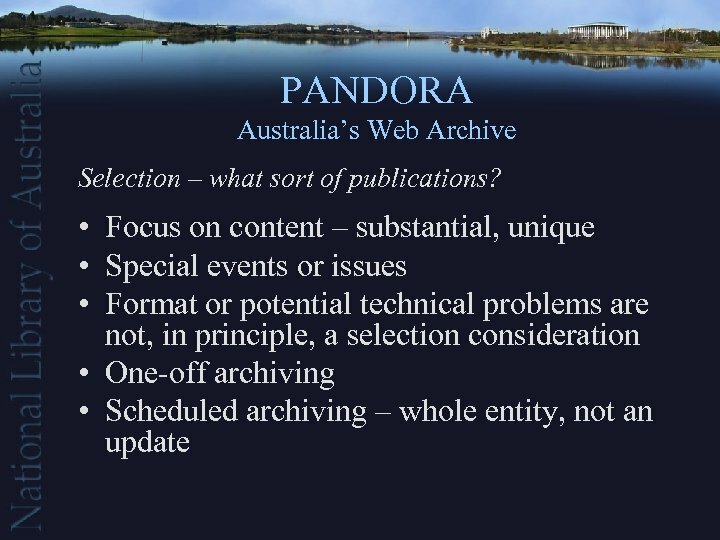 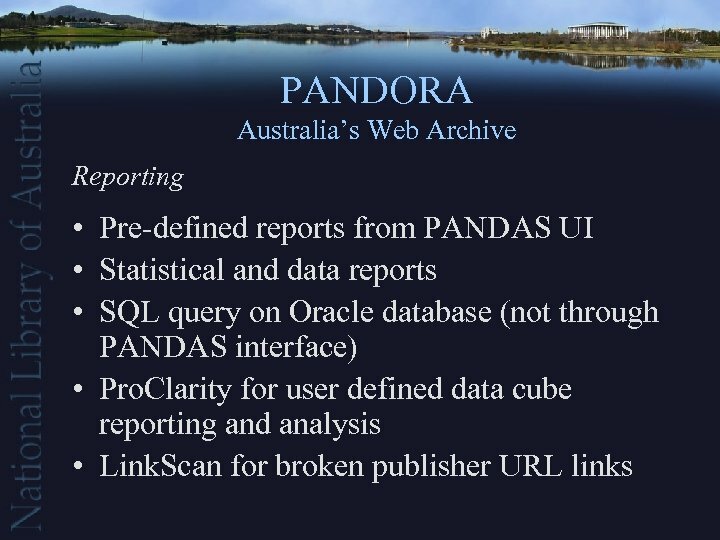 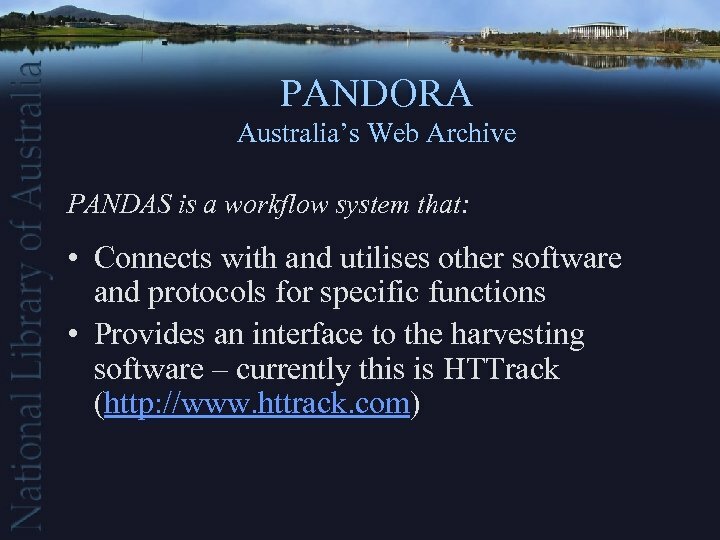 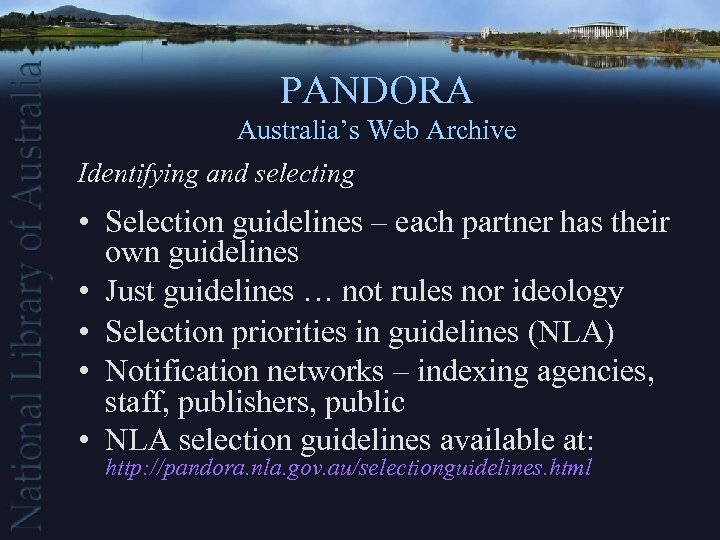 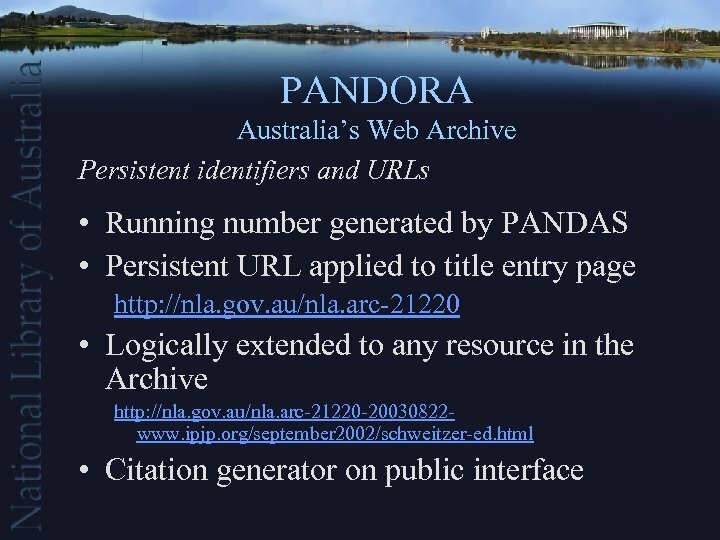 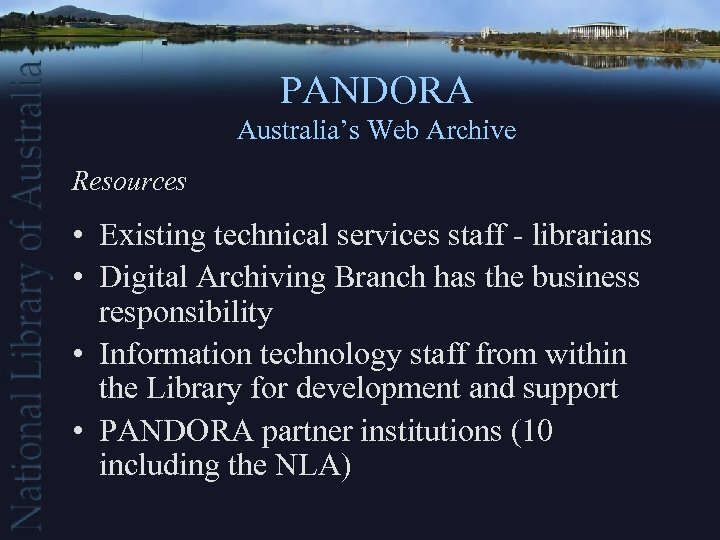 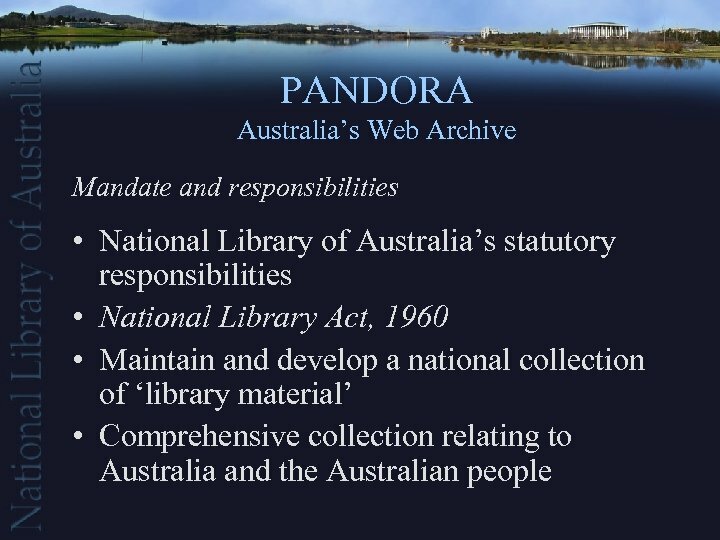 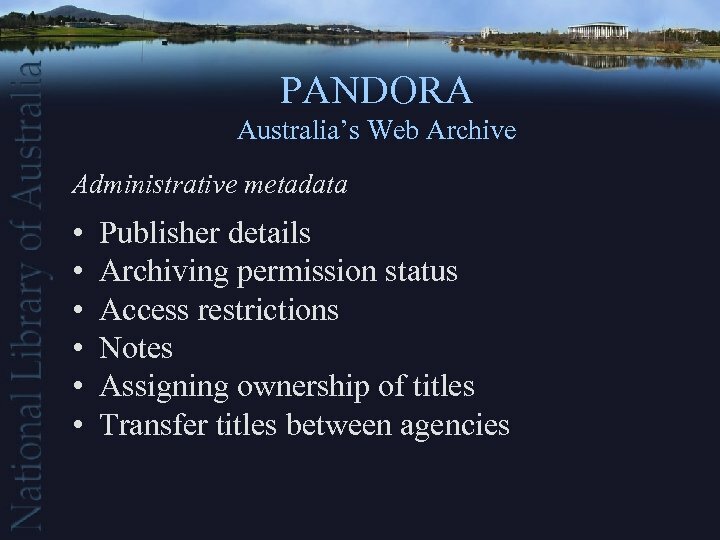 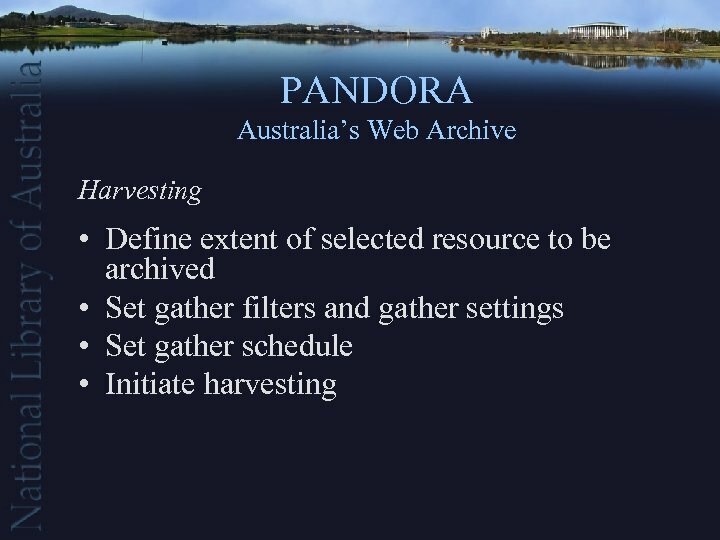 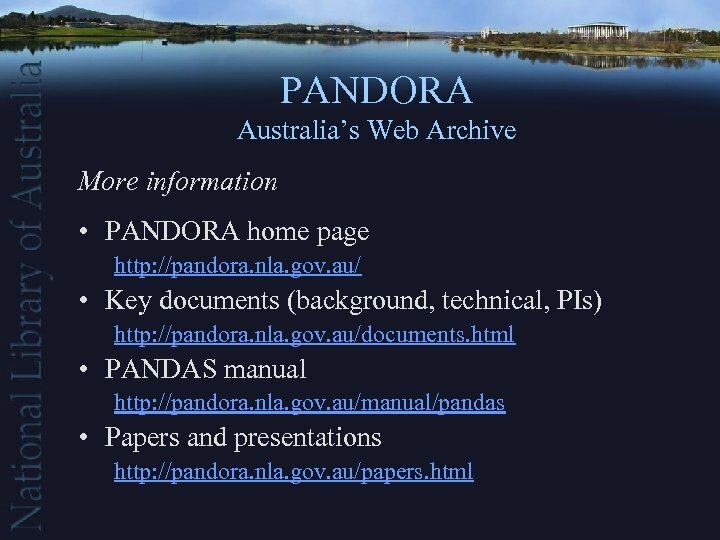 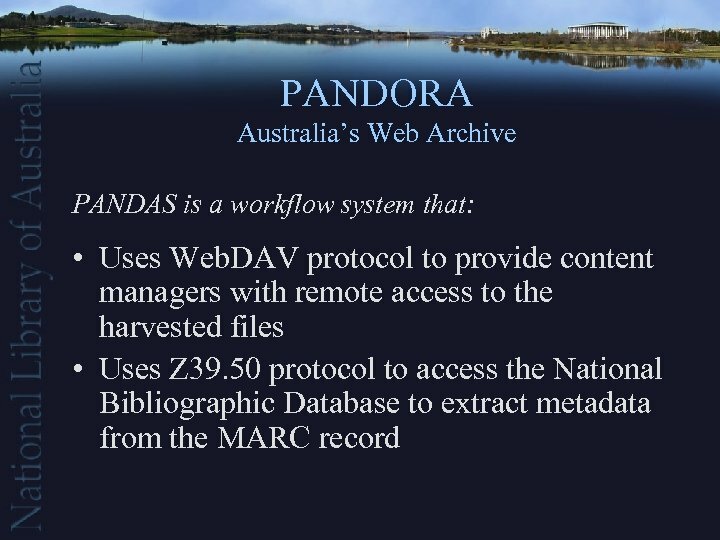 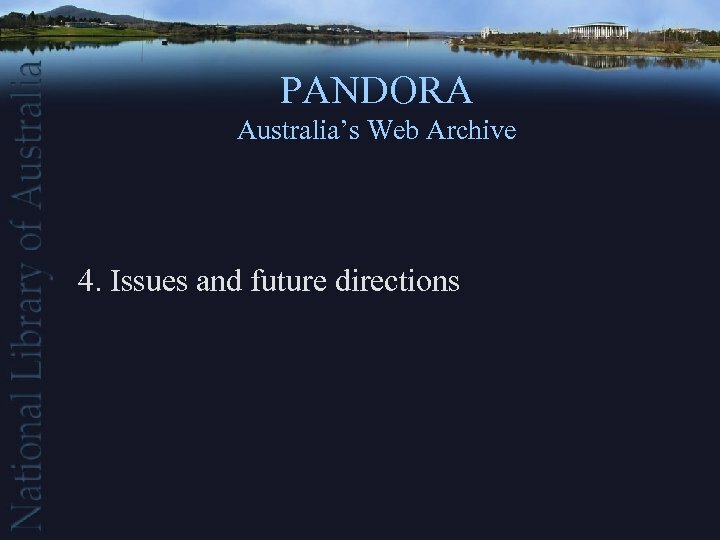 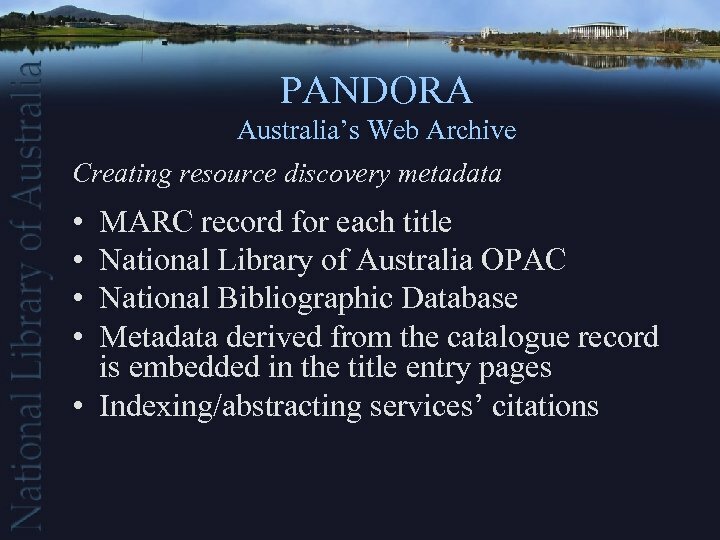 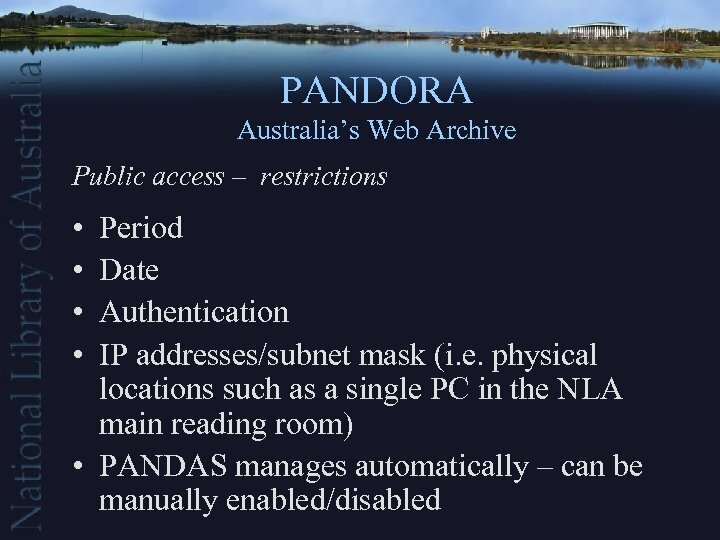 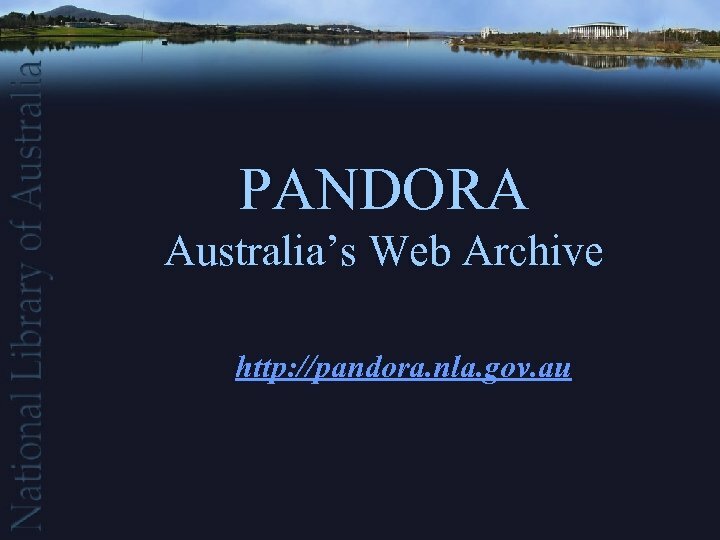 PANDORA Australia’s Web Archive Indicative statistics as at August 2004 • • 6, 500+ titles 13, 000+ archived instances 21 million files* 680 gigabytes* *These figures are for the display copy only. 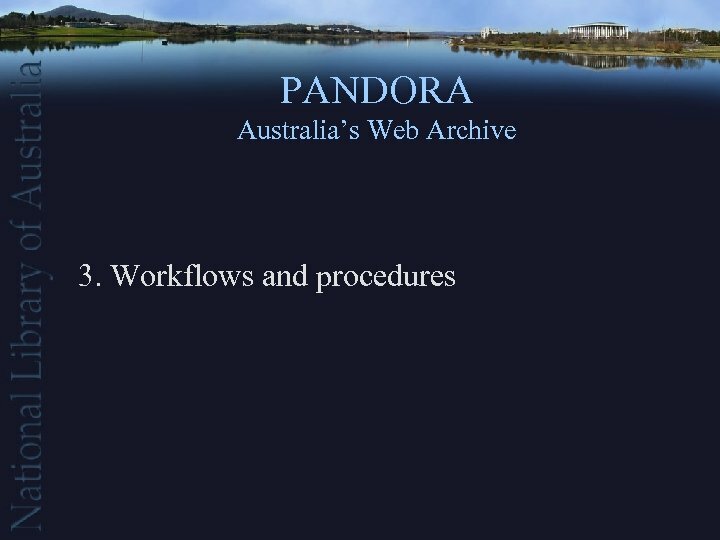 Two more preservation copies plus preservation metadata are maintained. 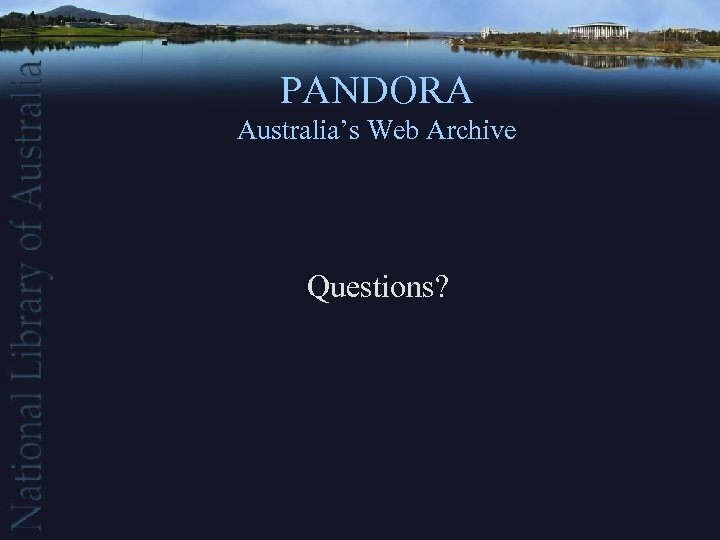 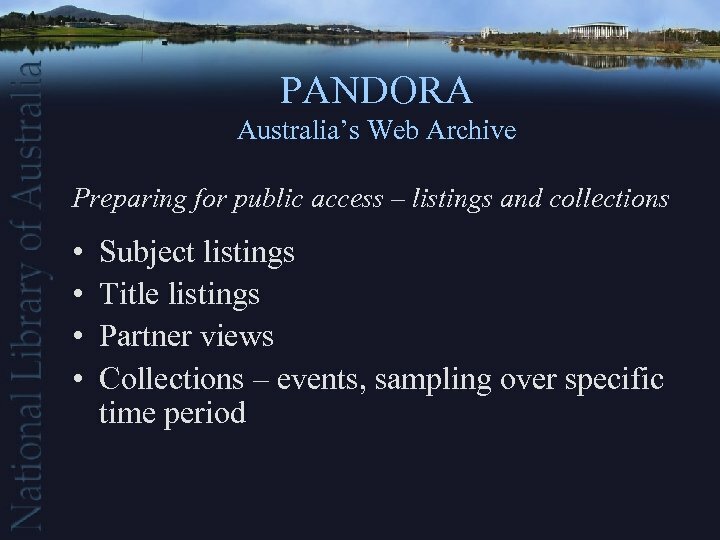 PANDORA Australia’s Web Archive Questions?